Many companies can build you a website, but the Stavridis Group knows how to push the boundaries to make your website work for you. Rather than focusing on HTML, CSS or programming, we focus on the key strategies, content and design elements that go into creating a strategic web presence that generates sales. We optimise websites on an ongoing basis to make them likeable by all three main search engines (Google, Bing & Yahoo) with the keywords customers use most to search and find your service or product. We use our unique, social-media, marketing skills to make your brand buzz on social media. Websites need constant care and maintenance. Updating content, making changes to the back-end, monitoring performance and traffic and fixing broken links are all in a day’s work. All of these actions are critical in maintaining a top-ranking spot for your website. Our Four Salesmen ® Strategy will target your competitors, grab on-line, quality traffic and deliver it to your website. To make your organisation stand out in a competitive environment. 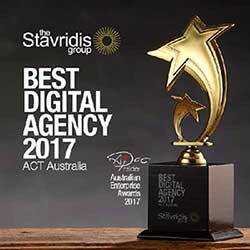 We began as a design & marketing arm of cpic.com.au in 1993, however after becoming incorporated, we emerged as a brand new firm, the ‘STAVRIDIS GROUP’, in 2002. Over the past 25+ years, we have produced some outstanding work across all types of media: Print, Video, Multimedia, CDROM, TV, Radio, Social Media and the Internet, for both Private and Government clients. We appreciate the incredible beauty and design in the world around us, and from this, we apply the same formula for beauty to our own creative works. We are following the thoughts of many great minds before us; from ancient civilisations to the Renaissance, to the best of class in all areas of today’s arts and design. This number is also known as the Divine Proportion, the Golden Mean, the Golden Ratio or the Golden Number, and it has revealed itself in all corners of the known universe. Many famous artists and architects, such as Leonardo da Vinci and Phideas, proportioned their works to match the Golden Ratio, particularly in the form of the Golden Rectangle. They held strongly that this proportion created aesthetically pleasing and beautiful design work. This Golden Ratio is found in the design of countless historical monuments and structures; including the Parthenon, the Pyramids and the Mona Lisa.